FIERUCOLE DELLA POLVERE (literally: Dust’s Little Fairs, fairs in which you can have a look and buy mostly handicraft prudocts and local groceries). Every last Sunday of the months of May, June and July, from 9.00 am to 7 pm, are back “Fierucola della Polvere”. 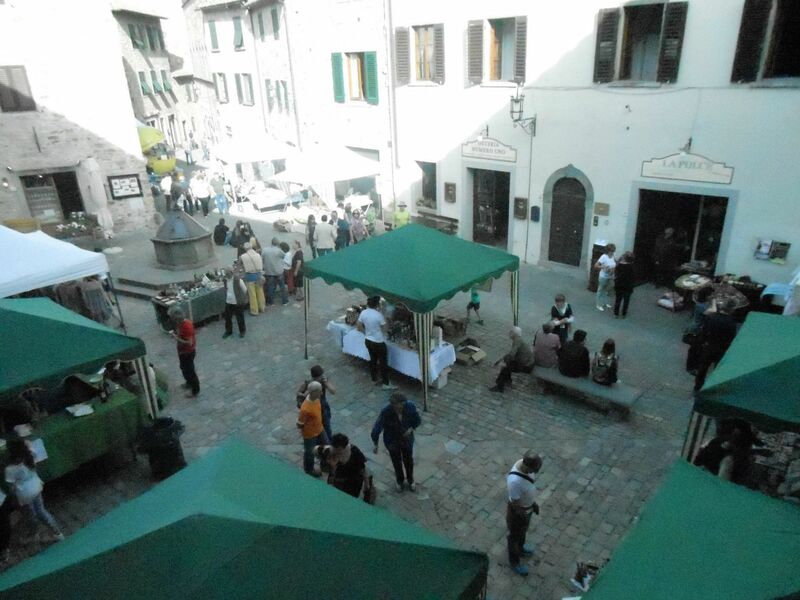 The market, organized by the Pro Loco of San Donato in Poggio, will take place for the ancient streets and squares of the village. Opening stands and display cabinets, exhibition of small antiques, collectibles, crafts, art, and local food and wine. The weekly market in San Donato in Poggio is held Every Friday Morning in Piazza del Pozzo Nuovo. The last Sunday of the months of April and September, from 9.00am to 7pm, return the “Fiera of April and September”. The market will take place in the ancient streets and squares of the village. Opening stands and display cabinets, exhibition of small antiques, collectibles, crafts, art, food and wine and local. Solemn procession of Corpus Christi, with musical accompaniment of “Band of Marcialla” and Flower Festival in via del Giglio. Following the SS. Messa at 5:30pm, officiated in the Pieve Romanesque of San Donato. 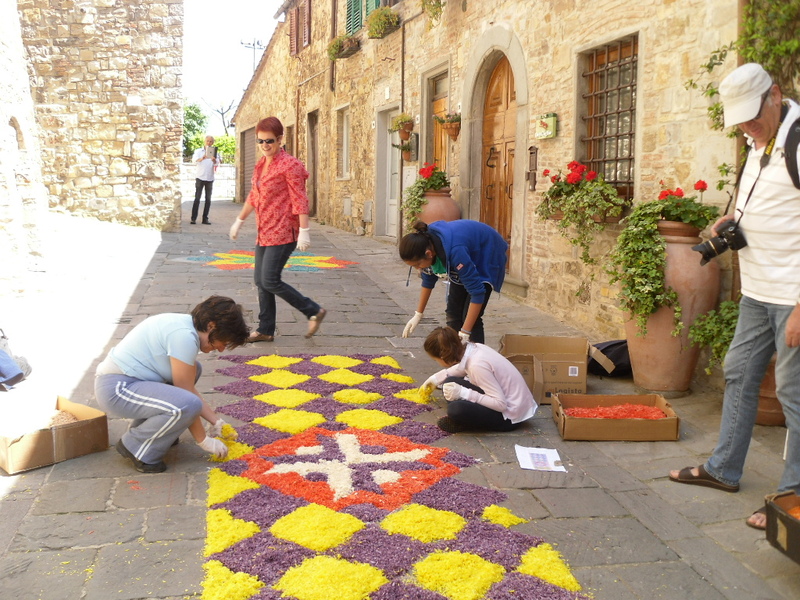 You can actively participate all’Infiorata; you can, in fact, choose the designs (including those proposed for the event), and proceed to their realization, through flower petals, leaves and other materials. At the end of the procession, after the solemn blessing in the Romanesque church, refreshments is offered, in the garden of the Pieve. Celebration of the Santo Patrono in S. Donato in Poggio. Ore 10.30 am Messa, in the ancient rite, in the Romanesque church. 5.00 pm Solemn Vespers, in the ancient rite, in the Romanesque church. 6.00 pm Procession through the streets of the S.Donato and solemn blessing to the faithful, in the Romanesque church. Blessing will be followed, the exposition and the kiss of the holy relic of the patron saint. End the celebration with the nice convivial occasion, 8:00pm, to be all together. For more informations: Ufficio Turistico – Via del Giglio, 31 – Tel. : 055 8072338.